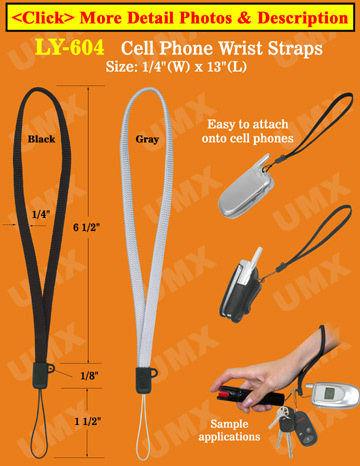 The cell phone wrist straps or cellular phone wrist Lanyards come with un-detachable phone strings. Any custom printed or custom size models available. We keep large inventory in stock with wholesaler's low price to wholesalers, distributors or individual. The straps can put on your wrist or bag straps easily.